National Youth Leadership Training (NYLT) is an intensive leadership course conducted in the outdoors. As members of an NYLT patrol, Scouts and Venturers learn the tools of leadership -- experiencing the patrol method first-hand as they camp, cook, eat, work, and learn to play the "Game of Scouting." The Golden Empire NYLT is on Facebook. Check out the page where we've posted pictures of past courses and where we will post updates and pictures during our upcoming courses. Please "LIKE" us because we definitely like you. You wanted to be an NYLT staffer for 2019 but you couldn't make the Council NYLT staff Interview dates? Great news! It's not too late to be considered for staff. We are starting staff developments soon! Download the staff application below. The dates you need to be available for each course's staff developments and the NYLT course and Trainer's EDGE training are listed in the application. Then, contact the Course Director of the courses you can commit to for an interview time that is convenient to you both. Only new staffers, who have attended NYLT, need to call for an interview. If you have staffed before and are interested in staffing again, please contact the Course Directors for the course(s) you are interested in staffing. Depending upon their current needs and the need for diversity within the course, they can let you know if they have a position you can fill! If you have questions please email NYLTinfo@gec-bsa.org! In National Youth Leadership Training -- in ALL of our leadership courses -- Culture is key to success. Read the Vision and the Mission Statements of the BSA. Our mission is to young people, our vision is to prepare every eligible youth in America to become the best leader he or she can be. The National Youth Leadership Training course is an exciting, action-packed program designed to provide male and female youth members of the Boy Scouts of America with leadership skills and experience they can use in their home units and in other situations demanding leadership of self and others. NYLT is for Scouts BSA, Venturers, and Sea Scouts who meet the NYLT requirements listed below. The NYLT six-day course centers around the concepts of what a leader must BE, what a leader must KNOW, and what a leader must DO. The key elements are then taught with a clear focus on HOW TO. The skills come alive during the course as the team goes on a Quest for the Meaning of Leadership. An NYLT course is designed to represent an activity cycle in the life of a typical Scouting unit. This might be a month in the life of a troop or a series of meetings leading to an activity in a Venturing Crew or Sea Scout Ship. The focus of each session is not only knowledge but also giving the participants a "Toolbox of Skills" that equips them with the "how." Communicating Well (Effective Communications) Understand that the skills of communicating well are not just for presentations but are also used whenever one shares ideas. Learn to communicate with adults. Leading EDGE Describe the four leadership approaches included in the leading Edge (Explain, Demonstrate, Guide, and Enable) and apply them to team development. Finding Your Vision (Team and Personal Vision) Vision is what future success looks like (team or personal). Teaching EDGE Describe the four steps of the Teaching EDGE (Explain, Demonstrate, Guide, and Enable) and how to use effective communications skills as a tool for teaching. Resolving Conflicts Describe ways a good leader minimizes conflict. Learn how to use EAR as a tool for resolving conflict (Express, Address, Resolve). Learn when adult involvement is needed. Preparing Your Plans Use planning as a tool to reach your goals and fulfill your vision. Forming Your Team Describe the phases a patrol or team will experience as members move toward achieving goals or learning new skills (Forming, Storming, Norming, and Performing). Leading Yourself Discuss the importance of having a personal vision and the phases of personal development (Forming, Storming, Norming, and Performing). Problem Solving Discuss the similarities between Planning and Problem Solving. Valuing People Use Scout Oath & Law and Venturing Oath & Code as guides in valuing other people. How to act in an ethical manner in our dealings with people whose core values differ from ours. Use ROPE (Reach, Organize, Practice, and Experience) to strengthen the unit. What else do participants learn and experience? Opening Campfire Experience a model of running a successful campfire -- well-planned, interesting, and no longer than necessary. Leadership Council Learn what a Leadership Council is and how it should run. Learn what are the roles and responsibilities of all attendees. See an example of a youth-lead unit in action. All participants will attend a model Leadership Council. Unit Meeting Conduct a well-prepared unit meeting (7 parts) using a Unit Meeting Plan. Use TEACHING EDGE to teach a skill. Conduct an inter-team activity based on the TEACHING EDGE skills. All participants will attend model Unit Meetings. Scout's Worship Service Experience an appropriate Scout's Worship Service. Learn how to plan a Scout's Worship Service and what is the importance of religious services for a Unit or Team. Team Meeting Learn the purpose of the team meeting and how a team meeting should run. Learn what the roles and responsibilities of all attendees are. Learn to use Stop/Start/Continue to evaluate team performance. Geo-Cache Activity A combined scavenger hunt and orienteering course that challenges each team to apply many of the skills learned during NYLT. Participants learn how to use and practice finding their way with GPS units. Youth Staff receive intensive training as NYLT instructors over the 4-months preceding the course. Adult leaders are on course for guidance, safety and security. Scouts BSA, Venturing, and Sea Scout Boys & Girls who are currently registered members of a Scouting unit. Scouts BSA members (male and female) must be at least 13 years of age. They must have completed Introduction to Leadership Skills for Troops. For 2019 only, an exception will be granted for girls registered in Scouts BSA to attend NYLT without first achieving the First Class rank. 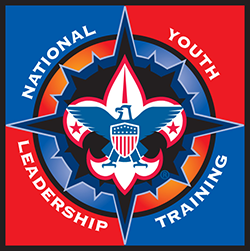 Male members of Scouts BSA will still be required to earn the First Class rank before attending NYLT. Camping arrangements for participants: Patrols of six (6) co-ed participants will be formed and sleeping arrangements for young ladies will be separate from the male youth.